Developed by the country’s leading nutritionists…. 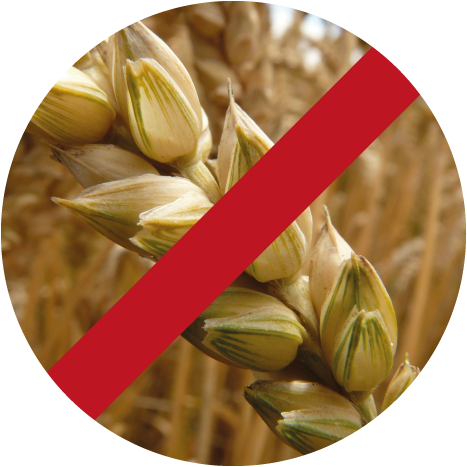 An increasing number of pets are developing intolerances to an ever increasing array of grains. 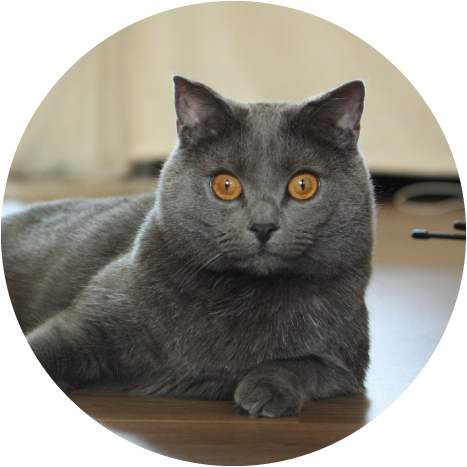 Therefore, to ensure that the pets diet doesn’t cause any adverse reactions, grain-free diets are fast becoming the prominent pet food within the market. 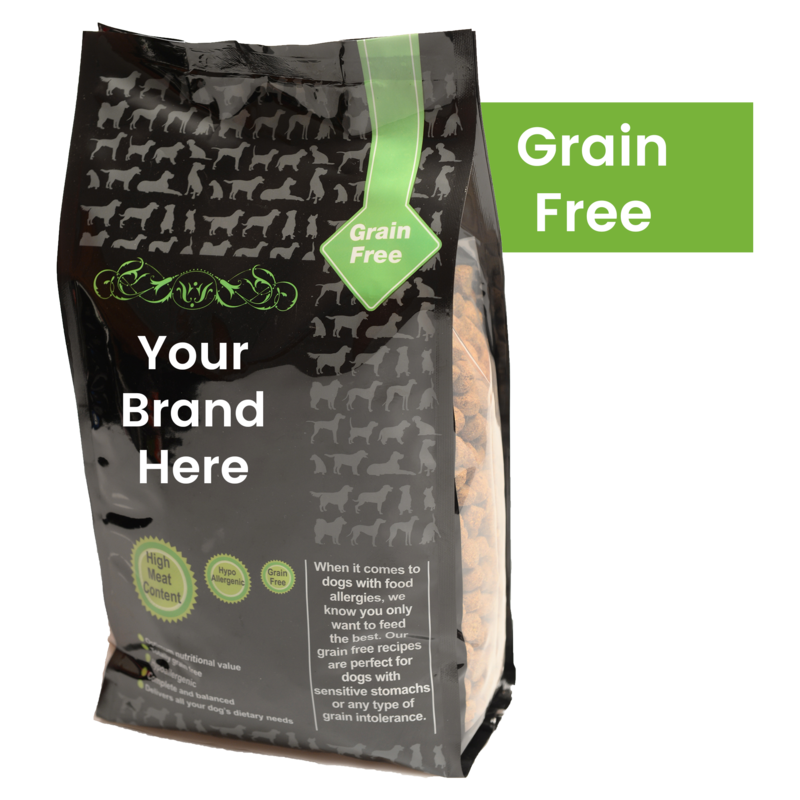 We provide an array of top quality grain free recipes that cater for all breeds and sizes with our Large Breed & Small Bite options. 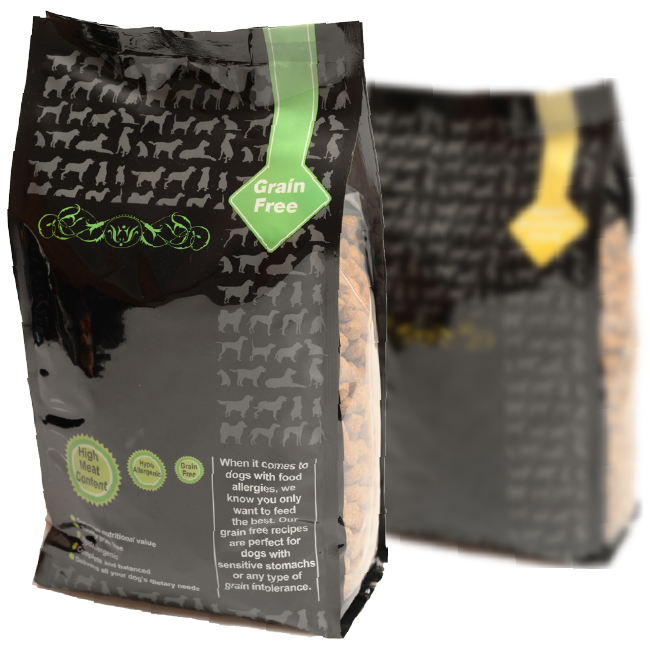 Our grain free recipes are perfect for dogs with sensitive stomachs or any type of grain intolerance. 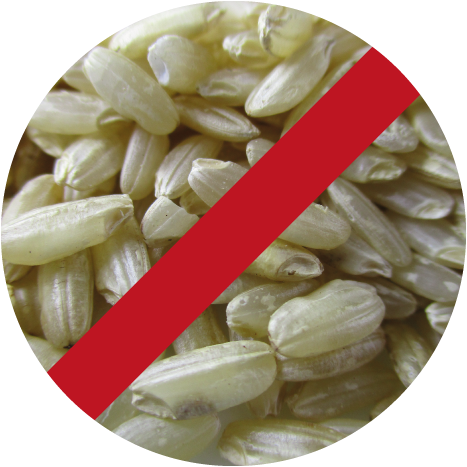 When it comes to dogs with food allergies, we know that owners only want to feed the best. 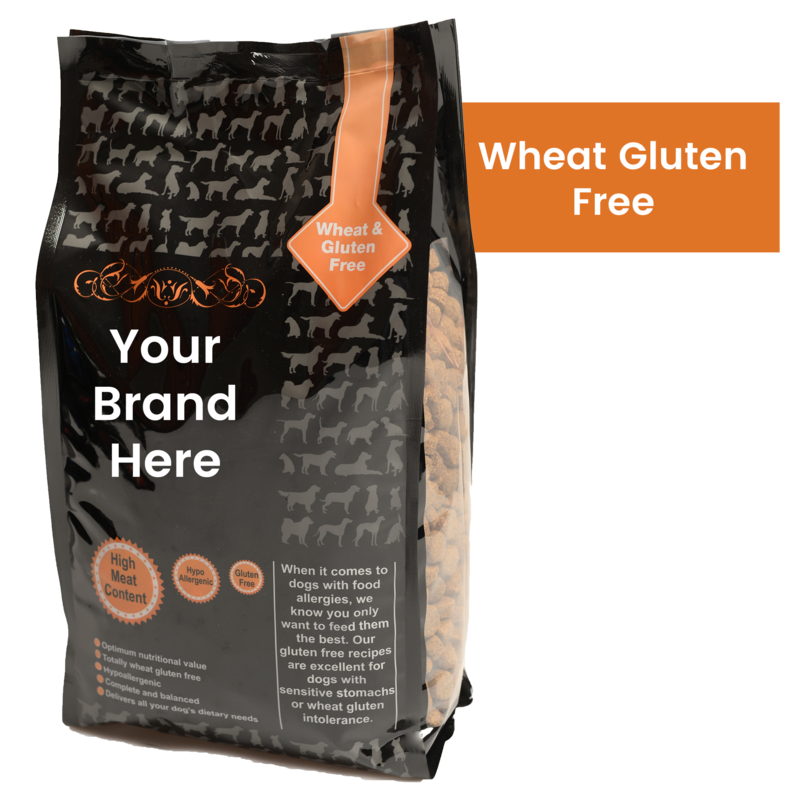 Our Wheat Gluten Free offerings cater for all dog breeds, sizes and ages. 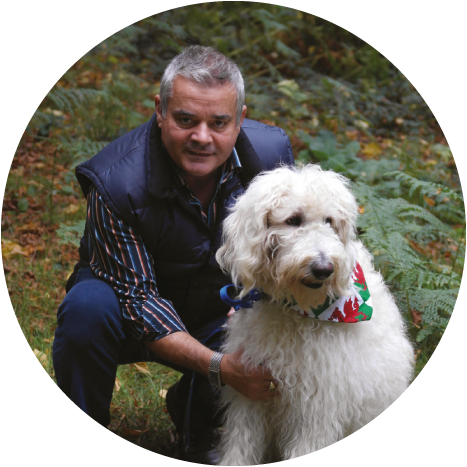 We have recipes for Large Breeds as well as Small Breeds, we offer recipes with Joint Care for dogs who suffer with joint issues. Our Wheat Gluten Free recipes are excellent for dogs with sensitive stomachs or wheat gluten intolerances. 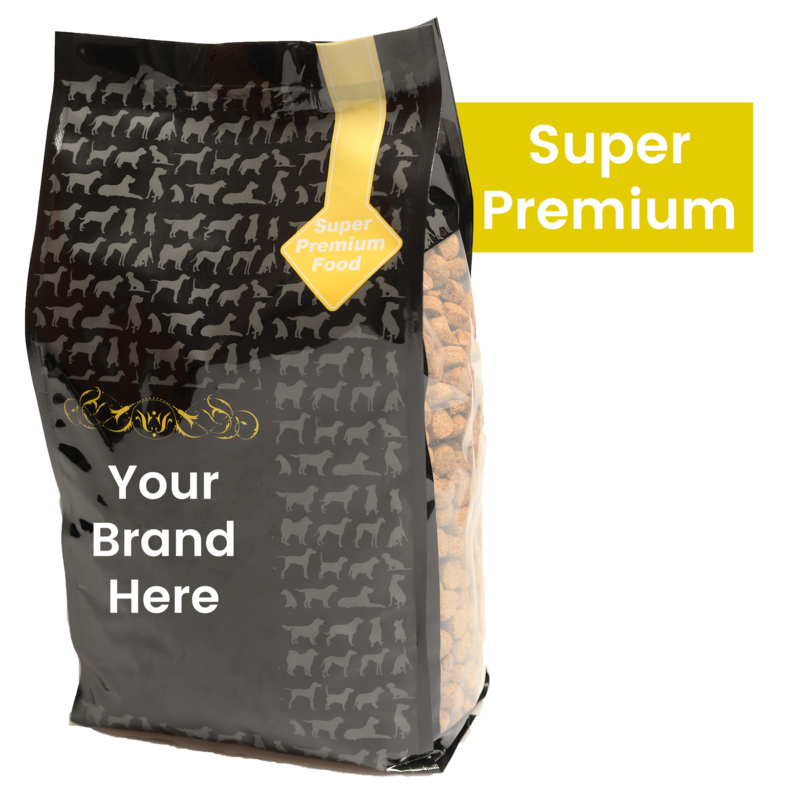 Our Super Premium recipes consists of newly developed, bespoke dog foods that are of a high quality as well as being nutritionally superior. We continually adapt and expand our portfolio, in line with the current market needs and trends. 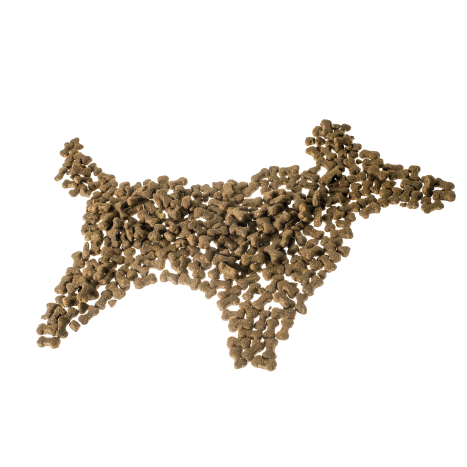 Thus increasing your range of all natural and premium dog foods and in turn, always providing your customers with the best choices possible. 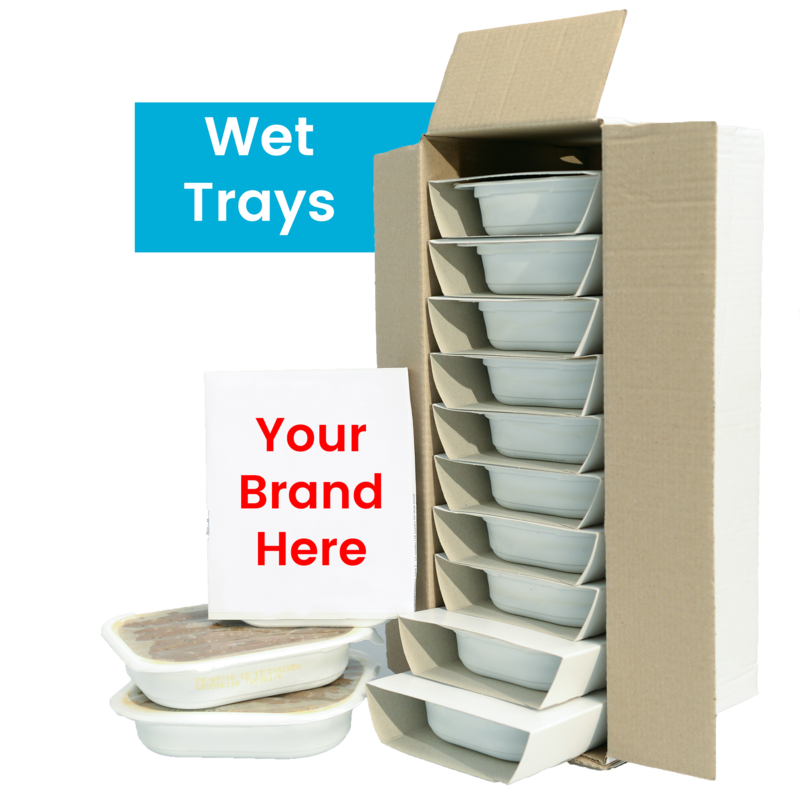 A very popular type of dog foods are Wet Trays, we provide you with a comprehensive range of complete. balanced and all natural Wet Trays to suit adults and puppies. With recipes containing at least 60% meat or fish, packed with vegetables and joint supplements. You can also stock your own range of premium Cat foods. Puppy food is essential for the proper development and growth for every young dog. 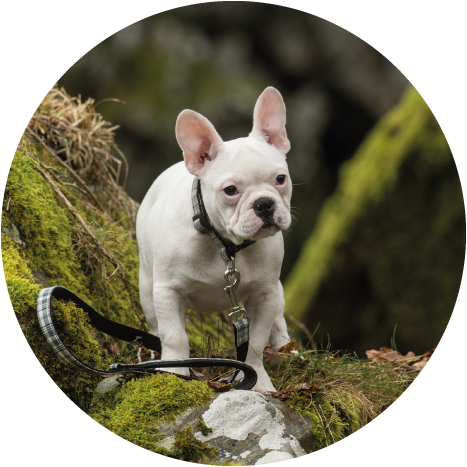 We provide you with a fantastic range of Puppy recipes to suit all breeds, sizes and preferences. Our products cater for all ages and most dietary requirements. We never compromise on quality, and take a firm stance against animal cruelty as well as animal testing.  Your own Signature Range will reinforce your customers loyalty to your business, the quality of products will instill confidence in your brand. 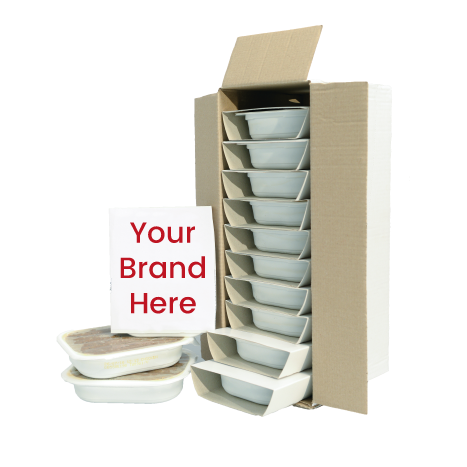 Becoming the owner of your own brand of pet foods is a quick and easy process, in turn earning fantastic potential profit margins, without any minimum order quantities. 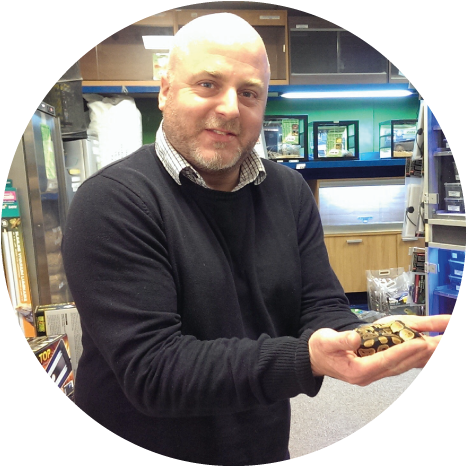 Your own range of ethically made pet foods will put you in complete control of your profit & promotions, talk to our experienced sales team to get started!